Forest Trail's 6 in Sun Peaks. 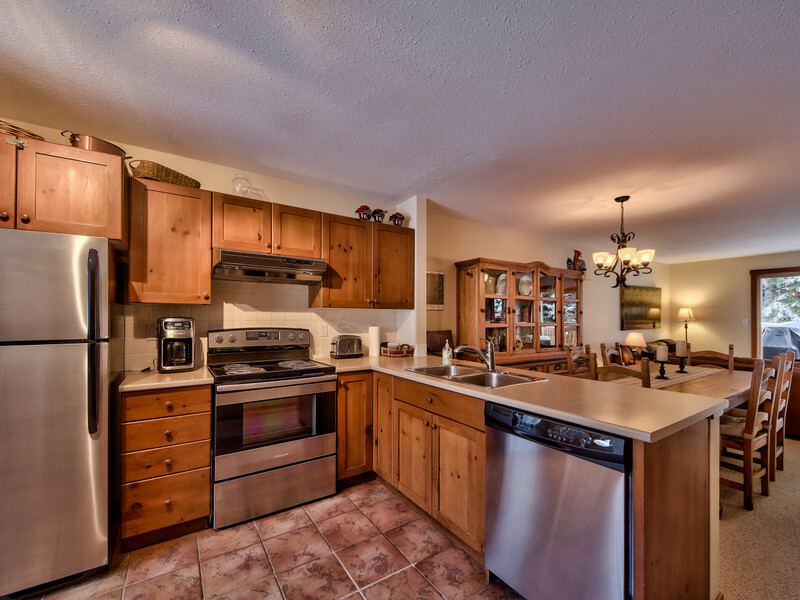 Please contact us directly at info@discoveryvacationrentals.com for special longer stay pricing for this excellent location !! 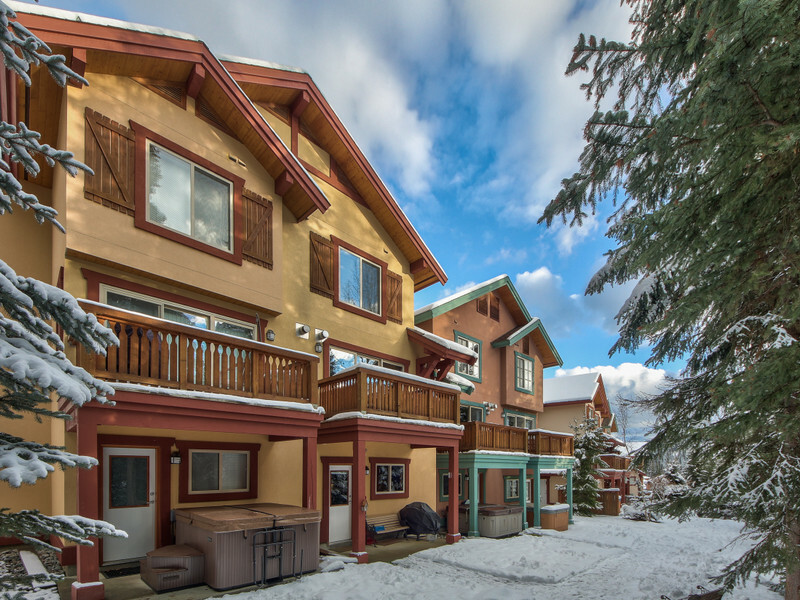 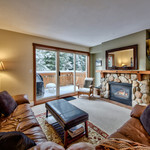 TRUE SKI in SKI OUT spacious two bedroom town home, 2 bath, and centrally located. 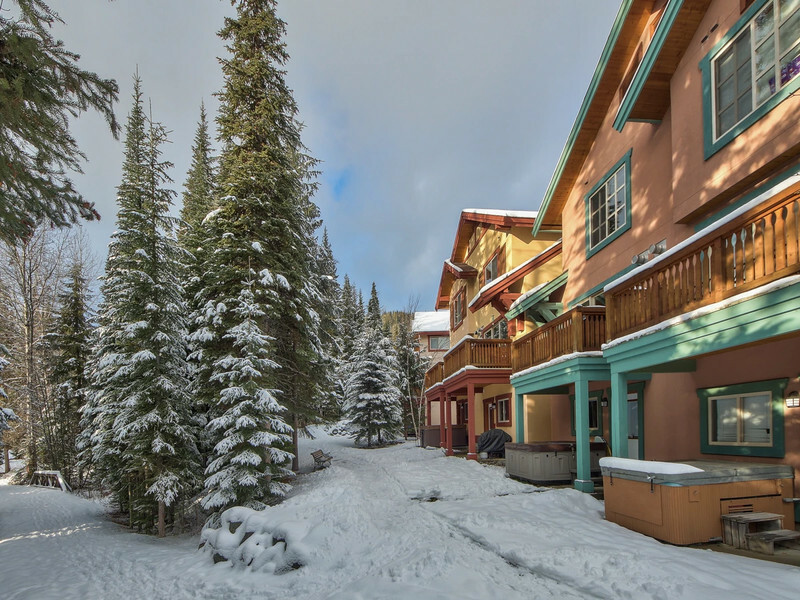 No need for a vehicle once you arrive. 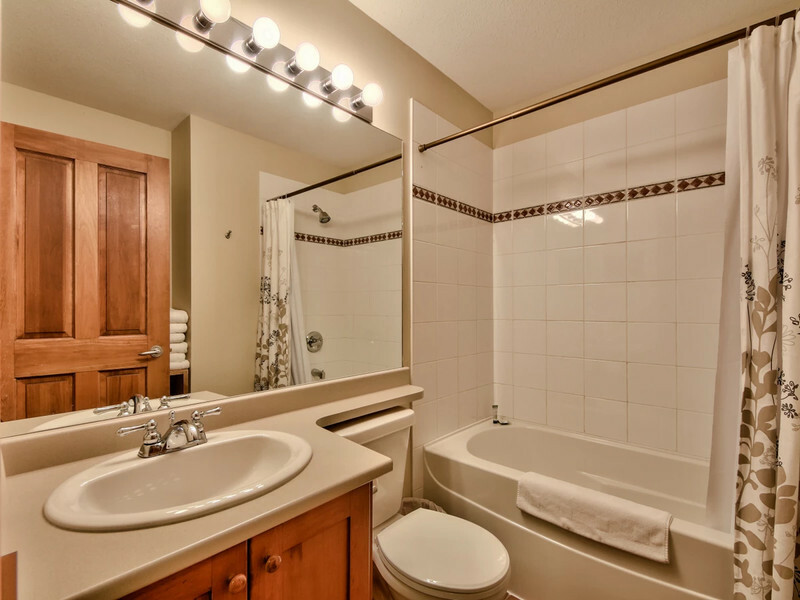 Of note: there is only ONE parking spot available for this property, and there is NO hot tub. 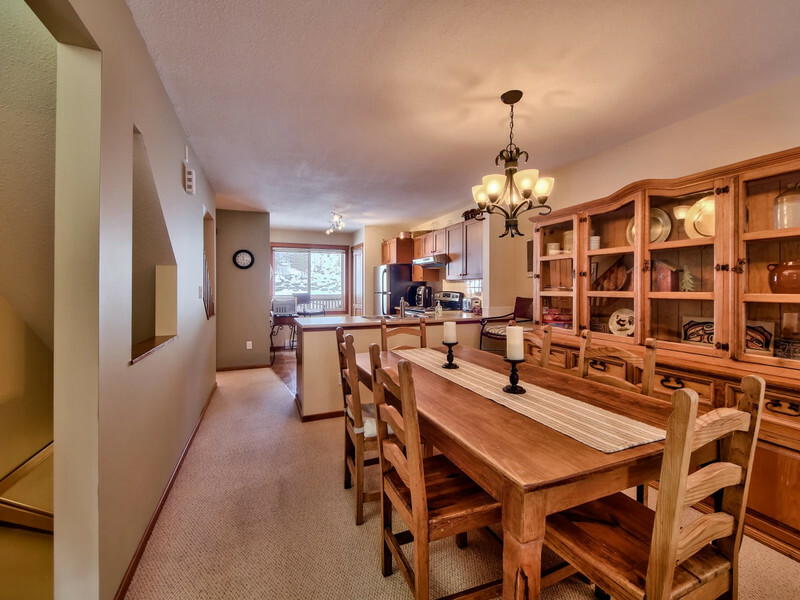 Enjoy numerous upgrades the Owner has done to this townhome...freshly painted with soft natural colours and artwork, very comfortable leather furniture, and a rustic Mexican dining room table. 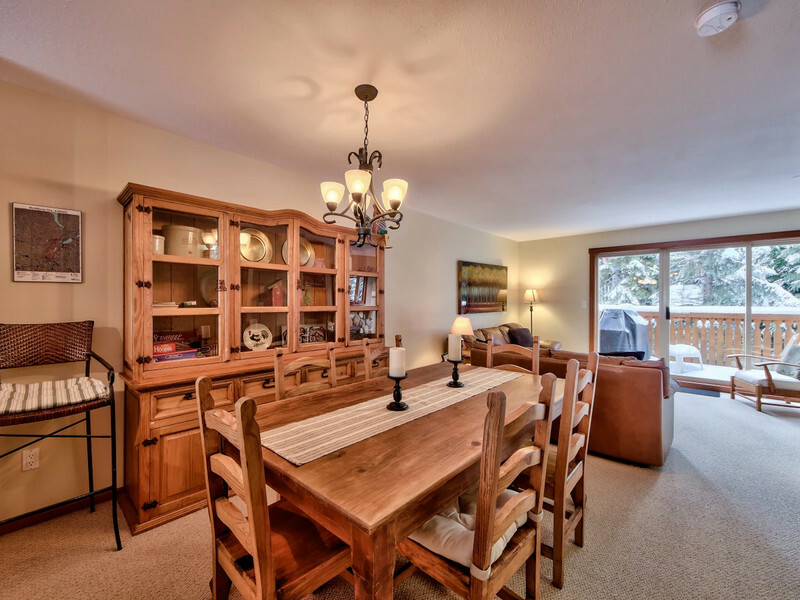 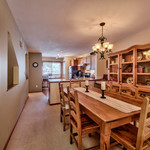 Layout is an open plan living room, dining area and kitchen, creating a great apres' ski feeling. 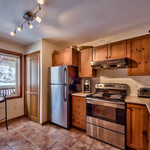 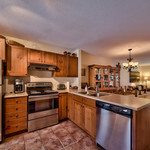 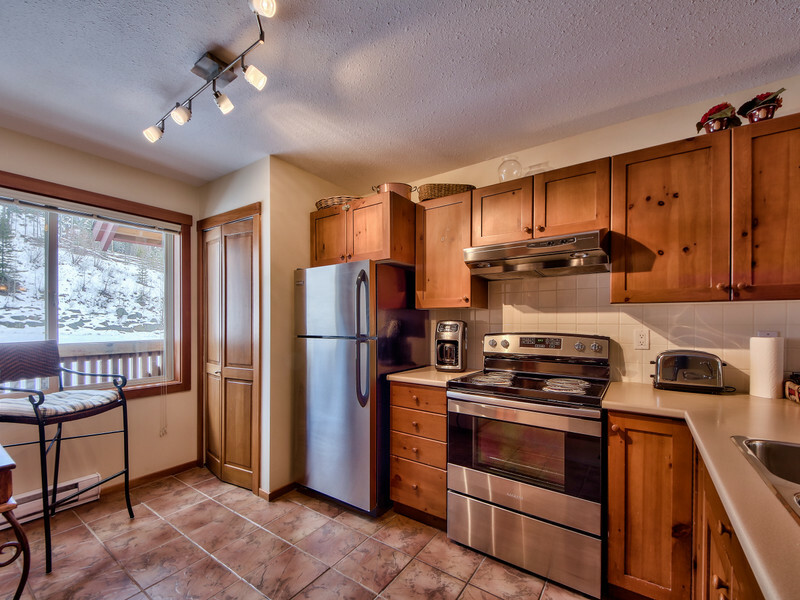 The kitchen is very well equipped with everything you need for hearty ski meals. New stainless steel appliances . 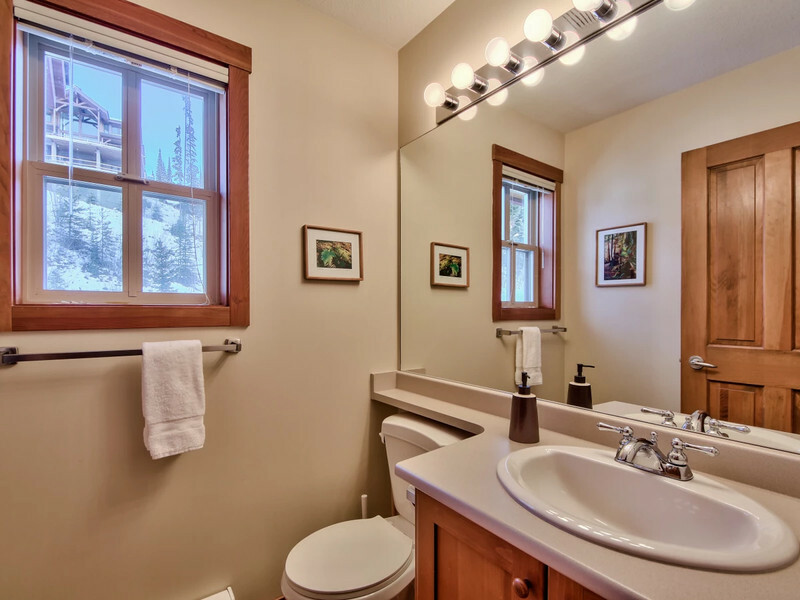 The kitchen and bathroom floors have radiant floor heating. 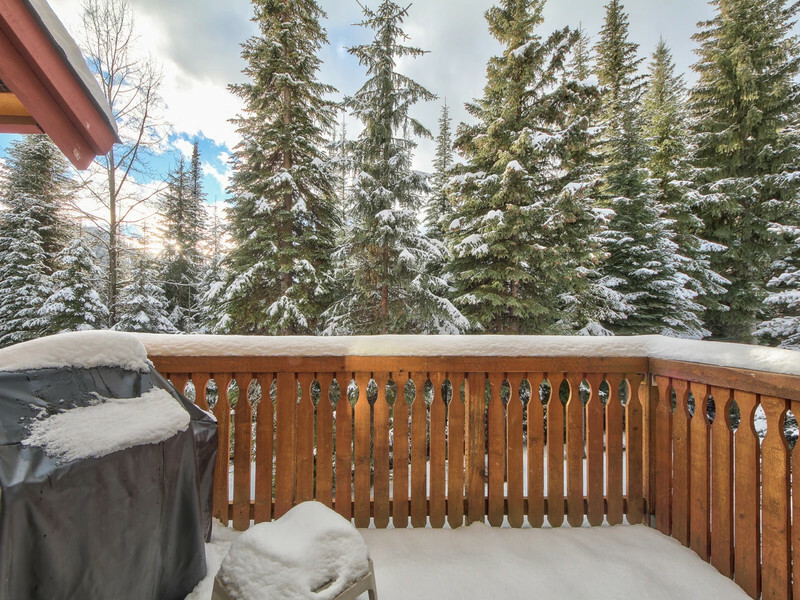 Off the living room is a sun filled deck with a Weber BBQ. 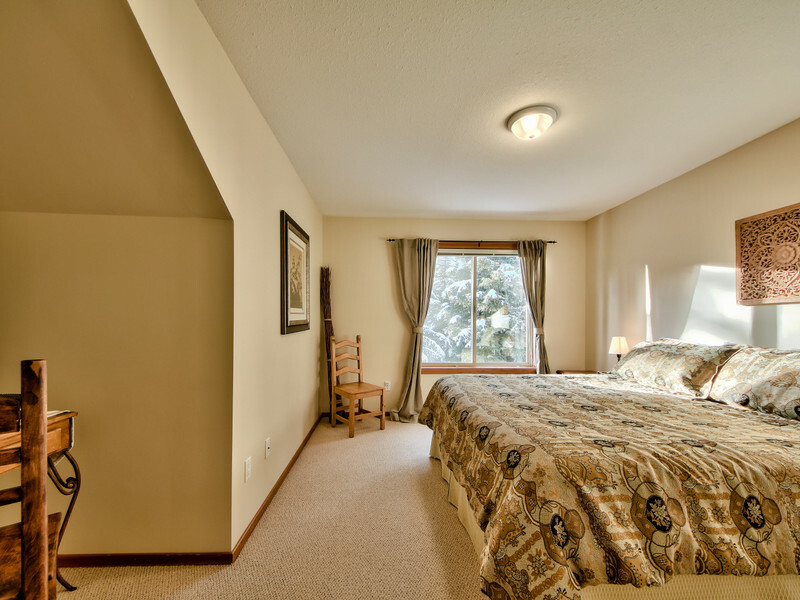 Enjoy great sleeps in this peaceful, quiet spot with very comfortable beds. 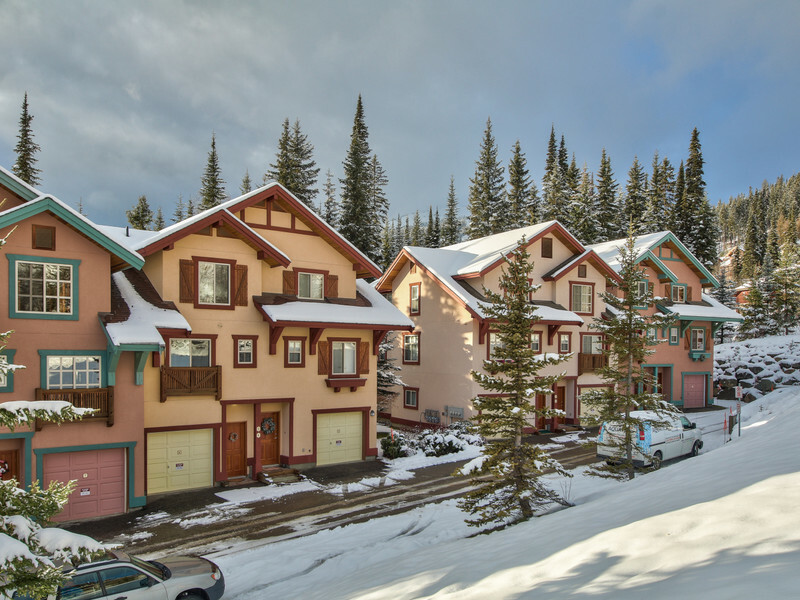 No need to drive your car once you are here, as all that Sun Peaks Village has to offer is just a short walk from Forest Trails # 6. 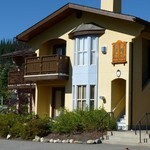 Forest Trails 6 is a spacious 3 level Town House. 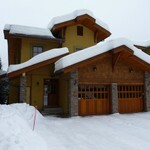 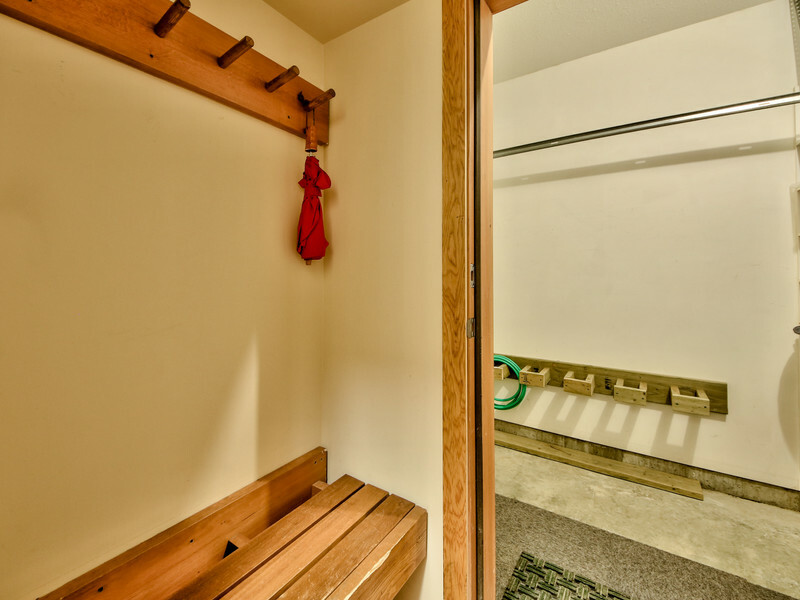 Entry on ground level with ample ski/gear storage room. 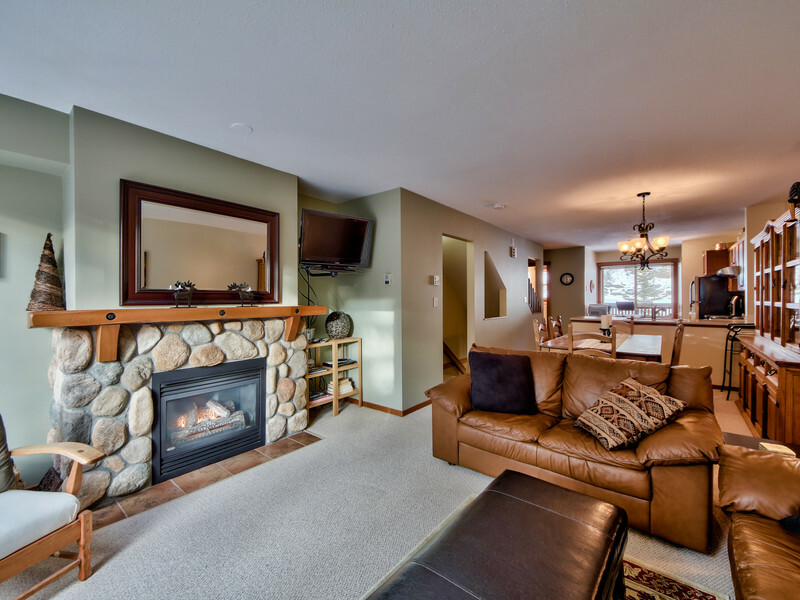 2nd level has full sized kitchen, dining room and comfortable living room with fireplace and sliding glass door to outside deck with barbeque. 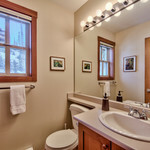 Powder room adjacent to kitchen. 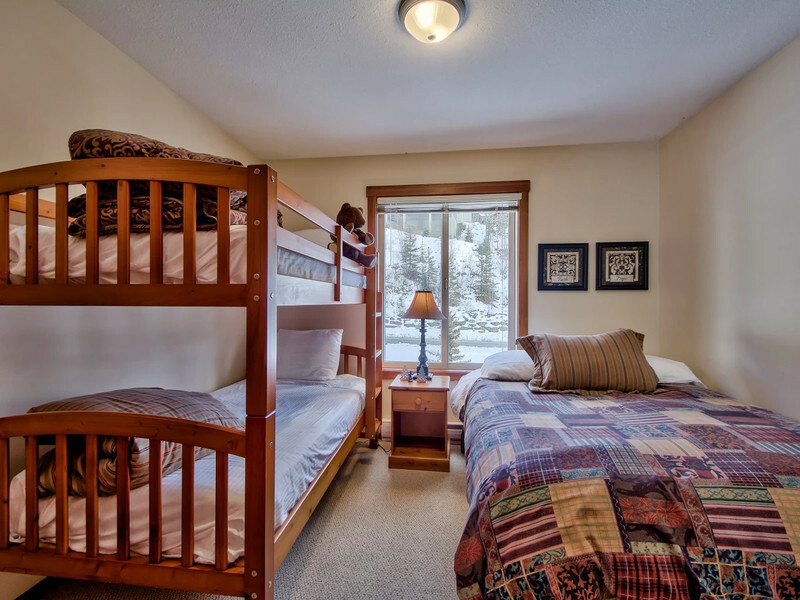 The upper level has a large Master Bedroom with a very comfortable King bed, a 2nd bedroom with a Double Bed and a single/single bunk bed, and a full 3 piece bathroom with tub/shower. 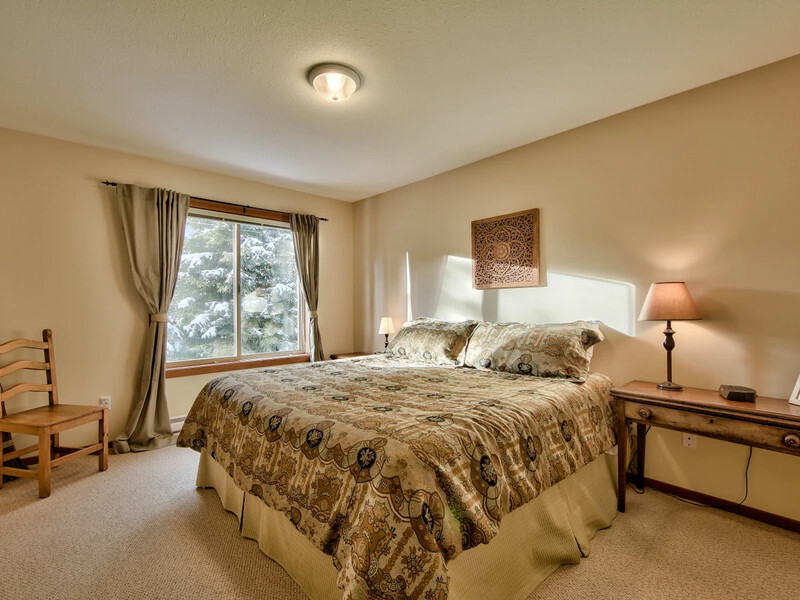 Enjoy the fantastic views from the living room and master bedroom! Kitchen - Full size stainless steel appliances and fully equipped with everything you will need to create fabulous meals.The heated tile floor is a bonus for the chef! Weber BBQ on the deck. 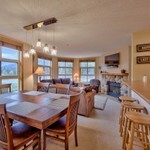 Living Area -You will love the open layout.Bright and sunny too! 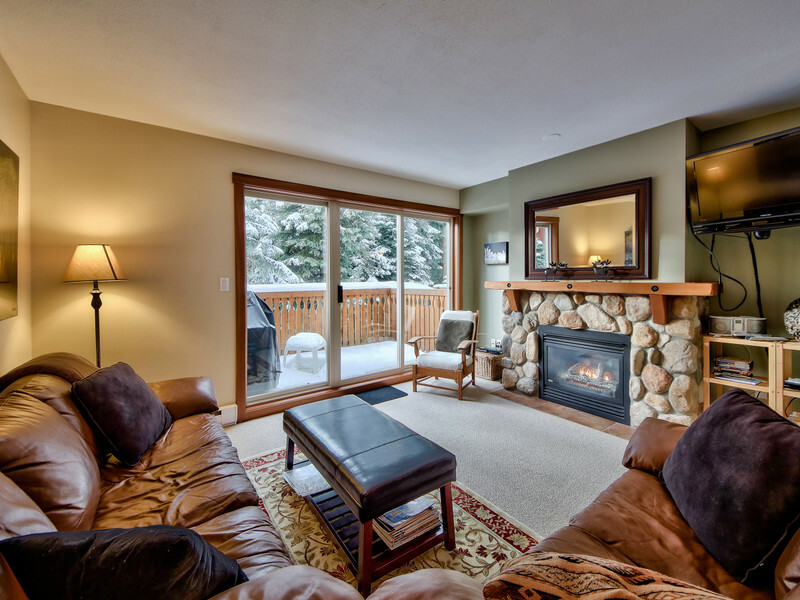 Comfortable leather sofa and love seat to relax on in front of the gas fireplace, perfect for lounging after a great day on the slopes. 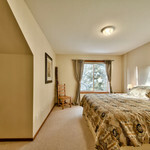 Large wall mounted flat screen T.V. 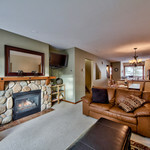 with DVD player and iPod with docking station loaded with great tunes. Dining Area - Oversized rustic pine dining room table to enjoy those hearty meals with your family and friends. 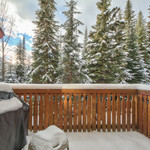 BBQ on the deck just off the living area. 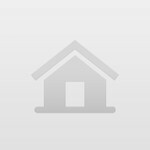 Cable TV & DVD player. Stereo. 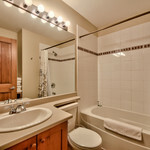 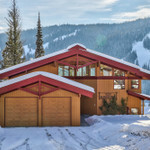 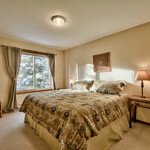 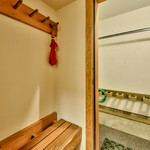 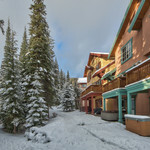 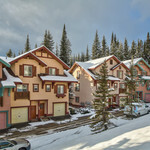 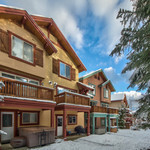 Resort Information - check www.sunpeaksresort.com for latest info.